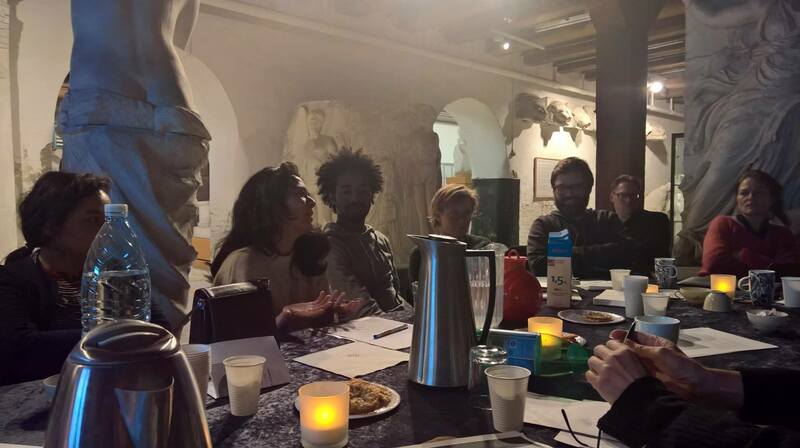 In the fall of 2016, Roskilde Museum of Contemporary Art established a Study Group on Migration. Regular meetings of 19 artists, exchange of theoretical considerations and artistic response were tackled with. The main questions were: ‘How does the current migration challenge the idea of the nation state, borders and questions of belonging? And how can we approach this conflicted field, overcome ’othering’ and contribute to new ways of understanding ourselves and each other?’. Othernessproject was present with the Nursery Rhymes performative workshop, and, at the final, open event of the series, on 21at January, with an object-personal story participatory event: an immersive experience of connection and storytelling. Facilitator: Mai Takawira, project coordinator. Researcher of refugees and asylum seekers: Zachary White, anthropologist.